Welcome to my new blog - Business Analysis. Here I'll be featuring hints, tips and useful guidance for both BA In Practice and BA Exams and Professional Qualifications. Business Analysis - Tools and Techniques. Features - BA Websites and News. Professional Qualifications - BA and Project Management. BA Exams - Tips and Techniques. BA Exams - Practice Questions. 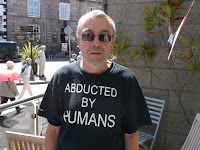 Please follow my blog for regular updates - plus - I hope - lots of useful information. Any comments, ideas or feedback are very welcome.